Petrosains DinoTrek 2, the extended dinosaur exhibition has taken on a newfound quest to change everything you ever knew about dinosaurs. This exhibition was first opened to the public in the year 2003, in the centre in KLCC before venturing out in 2004. Dinosaurs, having disappeared from Earth 65 million years ago, are only as real as discoveries go. Visitors will notice that each exhibit has a story to tell and with a total of 9 animatronic dinosaurs and other highly interactive exhibits, DinoTrek 2 allows families to learn together through co-operative exploration. The aim of DinoTrek 2 is to remind us all to be open to the possibilities of what history may have been; to ignite in us the passion to continuously question what we know and what studies tell us. A visit to the exhibition will even help demystify common myths associated with these prehistoric creatures. So, come on over to Petrosains DinoTrek 2 today!. Find out how much has been discovered about dinosaurs so far. Is it all fact or make-believe? 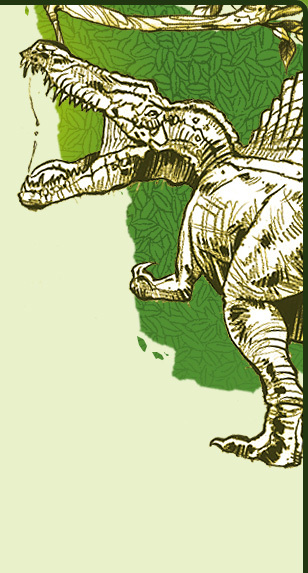 Discover these answers and more fascinating dinosaur-related facts and figures at DinoTrek 2!